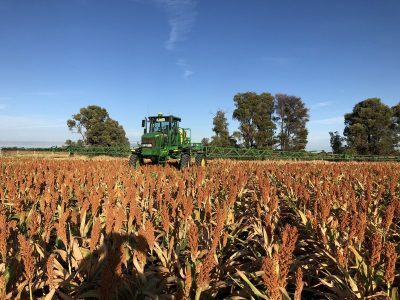 CENTRAL Queensland (CQ) sorghum growers have four weeks at most to plant their 2019 crop, with its total intended sorghum area only around one quarter planted, and looking unlikely to get sufficient planting rain going on current forecasts. 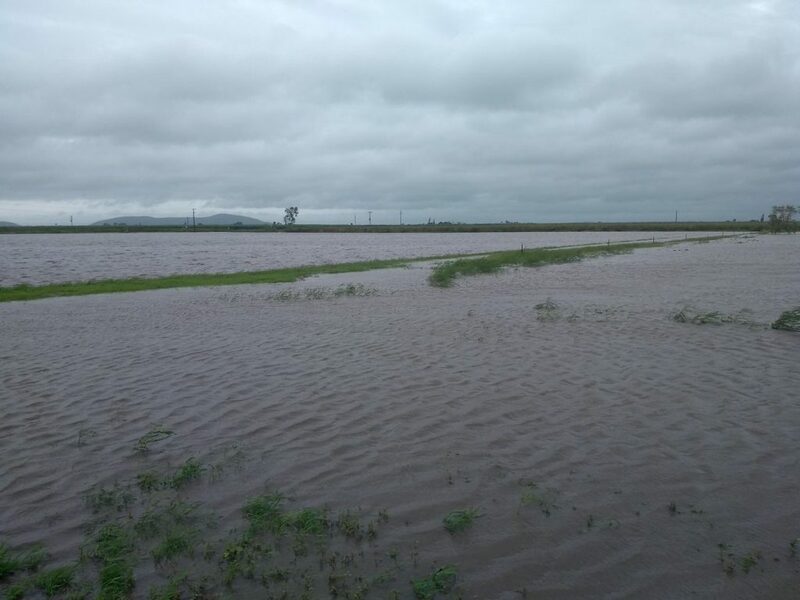 This is despite torrential rain falling in parts of tropical Queensland, little more than 200 kilometres north of CQ’s northernmost cropping areas. In the week to 9am today, Clermont on 9 millimetres had the highest rainfall registration in CQ’s farming country, and the current Bureau of Meteorology forecast said it could get up to 35mm of rain by Thursday. Districts to its south were forecast today to get significantly less, with Emerald pencilled in for a maximum 15mm in coming days. This compares with more than 1000mm rain in the same period in and around Townsville, and 400-600mm inundating soybean and mungbean crops in the Burdekin district, where a small area of sorghum is planted in winter. Landmark Ayr agrnomist Brent Wilson said the Burdekin’s sugarcane crops would largely benefit from the rain, and pulses should recover. “There will probably be some mungbeans losses, but most of the crops in now will recover if we don’t get too much more rain now,” Mr Wilson said. CQ can produce more than 500,000 tonnes of sorghum in a kind season, and last month estimates were looking closer to 350,000t based on the patchy rain which fell around Christmas and New Year, mostly north of Capella and south of Mt McLaren. Unless substantial rain falls across CQ this week, a small crop of less than 300,000t at best is likely. CQAg agronomist Stewart Brotherton said the Kilcummin and Mt McLaren districts could plant as late as early March, but planting time would run out sooner for other areas. “The southern window is closing now; there is too much frost risk if you plant crops later,” Mr Brotherton said. However, crops which were planted in late December into reasonable moisture are performing well. Mr Brotherton estimated that only one quarter of CQ’s intended sorghum area had been planted. The region’s best chance for rain is early this week, if the monsoon trough which has brought welcome rain to some parched grazing areas in the state’s north is able to move south as the high-pressure system over south-eastern Australia abates. Mr Brotherton said rain after sorghum’s planting window closed would bolster hopes for the timely planting of a winter crop, with wheat being attractive on price, and as a source of stubble to protect soil into the 2019-20 summer. However, chickpeas were still seen as having a place, especially if subsoil moisture was available. Some growers in Kilcummin, on the northern verge of CQ’s cropping area, planted sorghum last month into fallow country, and crops have had around 10-20mm of rain since. The same growers are waiting for rainfall of up to 200mm to allow them to plant sorghum into last winter’s wheat country. South of Kilcummin at Mt McLaren, grower Peter Mifsud said he had planted most of his intended sorghum into fallow and last year’s winter-cropping country in the Christmas-New Year period. Landmark Springsure manager Ben Marshall said no crop had been planted in the wider district. “South of Emerald, we’re running out of time in the planting window. It shuts on us at the end of February because of frost risk,” Mr Marshall said. As usual, the Darling Downs region of southern Queensland will produce the bulk of Australia’s sorghum this year. Where sufficient opening rain fell, early crops were sown in August and September in parts of the northern and western Downs. These are now being harvested, with the best of them yielding up to 5.5 tonnes per hectare. Most of the Darling Downs crop was planted on storm rain in October. Vary Agricultural Services agronomist Greg McNamara said some early crops in the Brookstead and Pittsworth districts could exceed 5.5t/ha. A yield of 4.5-5t/ha is more likely, and southern Queensland, including the Goondiwindi district, may struggle to produce 1 million tonnes (Mt) of sorghum, down from 1.2Mt seen earlier. While few southern Queensland crops have failed, a dry-as-a-bone January in most areas has reduced yield potential, and lightened test weights in some paddocks. The southern Queensland crop is seen as maximum 20-per-cent harvested. Pacific Seeds’ Toowoomba-based summer grains and forage manager Andrew Short said the extreme variation in yields seen in crops harvested already was likely to continue. “Where seeing yields from 1.5t/ha up to 5.5t/ha, and whether it was on long or short fallow, as well as how much rain it got under, is making the difference,” he said. “January was harsh, so hot and dry, and some of those crops that were trying to fill last month pinched up. In northern New South Wales, hot and dry weather has troubled its yield and quality outlook also, and the region could produce 400,000t at best from its harvest now under way. That puts the Australian crop now being harvested at 1.7Mt maximum.